Welcome to our featured ranking. As a visitor, you are able to view banks in the top half of the ranking, which features 11 of the 150 data points we track. The top-ranked bank is unlocked, click on its name to see the full range of data available to subscribers. Polish lenders continue to lead the way in our ranking of the largest banks in central and eastern European EU member states. Poland accounts for more than one-third of overall assets in the ranking, just under one-third of pre-tax profits and 18 of the top 100 banks. Interestingly, a consolidation wave continues across the region, though some of the expected mergers in Poland have stalled. Hungary’s biggest bank, OTP, continues to grow its footprint, acquiring regional subsidiaries of French bank Société Générale, whereas several Greek institutions continue to shrink their regional reach. The Banker, is the key source of data and analysis for the world's banking sector. 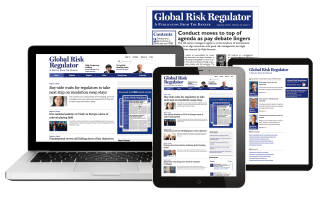 Register today for 3 free monthly views and to receive The Banker weekly e-newsletter. Please take a moment to scroll through the next few pages for an overview of the data and tools available during your trial. 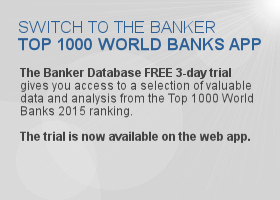 The trial provides full access to all the data in The Banker Database, including the featured ranking. This data can be analysed using all the advanced functions available to subscribers, including multiple filters and peer-group analysis, with download functionality disabled. The Banker's rankings are gold standard measures of bank size and strength relied on by the entire industry. 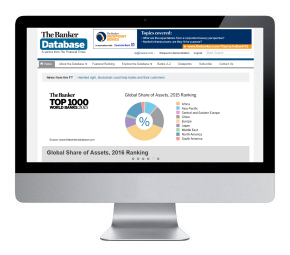 Top 1000 World Banks, our flagship ranking, features banks at the highest level of consolidation ranked by Tier 1 capital. We also publish many country and regional rankings based on growth, profitability, liquidity, leverage, resilience, asset quality, risk appetite, risk profile, exposure, funding, debt, operational and capital efficiency. 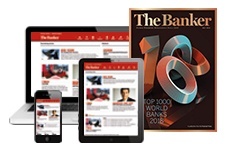 Subscribers can view and download all rankings published in The Banker since 1996. The interactive world map allows you to view all of the data from the 2018 CEE EU Member States by Tier 1 Rankings. The map can be used to view summary content data and display the largest banks for each country. This functionality within the 'Explore the Database' section filters banks by location, consolidation level, financial year end, size or performance using multiple criteria. Searches can include any data points. This function is useful if you need to create a peer group or identify banks with particular characteristics. When you have finished filtering, you can select banks for peer-group comparison. Within the 'Explore the Database' section you will have access to Peer Group Analysis which allows you to quickly select banks and data points to generate time series performance graphs. Your trial will allow you to compare banks from the 2018 CEE EU Member States by Tier 1 Ranking using additional data points. From the profile page you can click through to a detailed view of a bank's current and historical financial and non-financial data and downloadable annual reports. The bank profile page also include details of a bank's headquarters, contact information, board members and division heads.